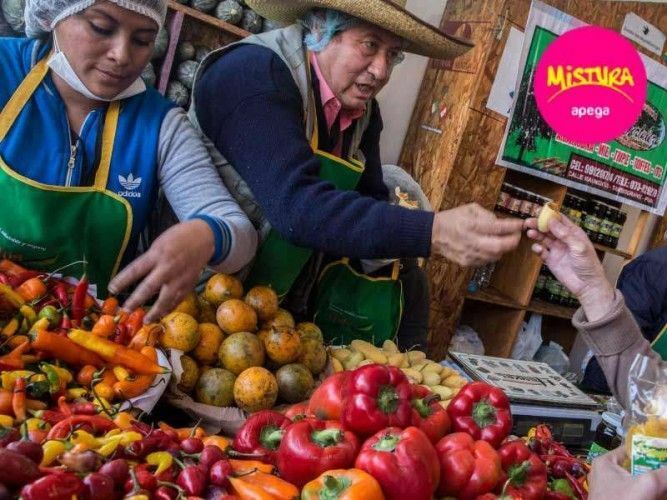 Only yesterday Apega, the Peruvian Gastronomy Society that organizes the event, informed that El Gran Mercado, the Great Market, will once again be the heart of the food fair and is given a greater prominence, particularly in the light of this year’s motto “Healthy Food”. On 3,335 m2 (over 36,000 sqft) 330 producers and farmers from all over Peru will offer a vast variety of typical and not so well known Peruvian produce and products from the country's different regions. The farmers will not only sell their native ingredients to visitors for fair prices, but will also have the chance to connect to consumers, other producers, local and foreign chefs and representatives of the food industry. On the Great Market not only Peruvian fruits and veggies, juices, honey, oils, grains, cheeses, breads, herbs, natural remedies, chocolate and many other Peruvian products will be offered, but as well lots of knowledge and recipes using the diverse local ingredients and produce to prepare healthy, nutritious and delicious dishes. For more detailed and regularly updated infos on Mistura including date, location, tickets and anything else we know so far, check out our article "Mistura 2017 in Lima".